When coming up with our trip.me Travel Awards for 2013 we called upon the opinions of several travel experts and bloggersto help us bring you a more informed and diverse collection of ideas. We're incredibly thankful to everyone that helped out by emailing us their responses. These are the guys that are out on the road all year searching for the best new destinations on the planet, so they know what they're talking about. If you haven't seen the awards yet, what are you waiting for? Go them see now! If you have, enjoy this run down from our travel bloggers and experts here. Matt Long calls himself a typical Gen-Xer and former cubicle dweller, which may have been true once upon a time but thanks to his passion for travel and his fantastic blog, Landlopers, he's made travel his profession and seeks to help readers on his site experience the very best the world has to offer. Best trip you went on in 2013? It’s really hard to call one trip a best one, but my trip to Croatia was probably my favorite. It was my favorite because I learned so much, and had so many misconceptions corrected. I learned that Croatia is a beautiful, dynamic and endlessly fascinating country deserving of much more than the 10 days I spent there. Most exciting destination for 2014? I think there are a number of great hotspots that are perfect for 2014 travel. Scotland is celebrating a year of Homecoming, encouraging people to visit and to discover what makes it great. Brazil is of course hosting the World Cup, making it an interesting travel destination. I think that the Baltic countries will continue growing in popularity, spurred on by a new regional initiative to encourage tourism. Best place for ecotourism in 2013? This term has changed so much over time that it’s hard to answer this question. I personally love the outdoor adventures I enjoyed in South Africa, everything from abseiling to the classic safari. New Zealand is also a perennial favorite thanks to the amazing diversity of landscapes found around the two islands. Best hotel/accommodation you enjoyed in 2013? The Lukimbi Safari Lodge in Kruger National Park (South Africa) was my favorite resort. It’s made up of a series of private villas, all overlooking a watering hole. It’s luxurious but rustic and the proximity to wildlife is stunning. 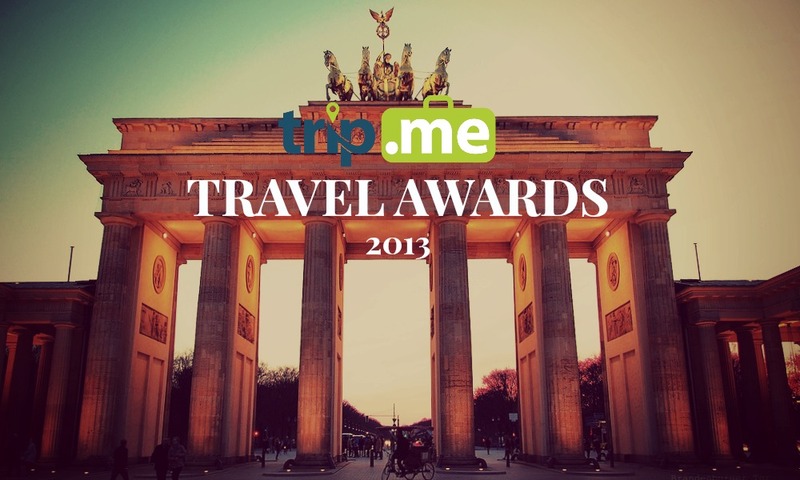 Best travel app in 2013? It’s not new, but my go-to app is TripIt. It always me to easily organize all of my travel documents in one place and even alerts me to potential disruptions in my travel plans. It’s wonderful and I can’t say enough about it. I really enjoy http://www.treksplorer.com. Ryan is a smart and engaging writer, qualities that can sometimes be all too rare. He’s also a good writer technically, which is important. So many times bloggers have great stories, but they get lost in poor writing skills. Predicted travel trends for 2014? More and more people are eager for what they perceive to be ‘authentic’ experiences. They want to get out and meet people, perhaps even volunteer for a day or two. That doesn’t mean they want to sacrifice comfort though, but it’s a form of luxury adventure travel that is getting more and more popular. 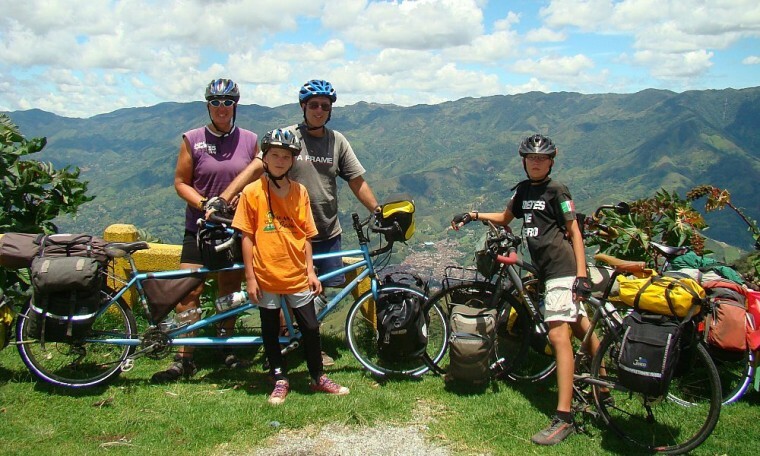 JL Pastor is one half of the husband-wife team over at See Colombia Travel. 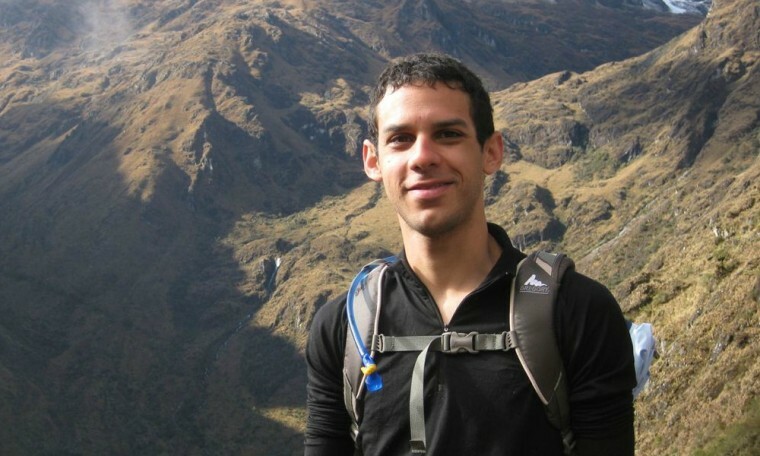 He's traveled the world, owned one of the most successful travel companies in South America and has finally settled in Colombia where he promotes the country to the world through the Colombia Travel Blog. An Englishman's Farewell to Colombia. 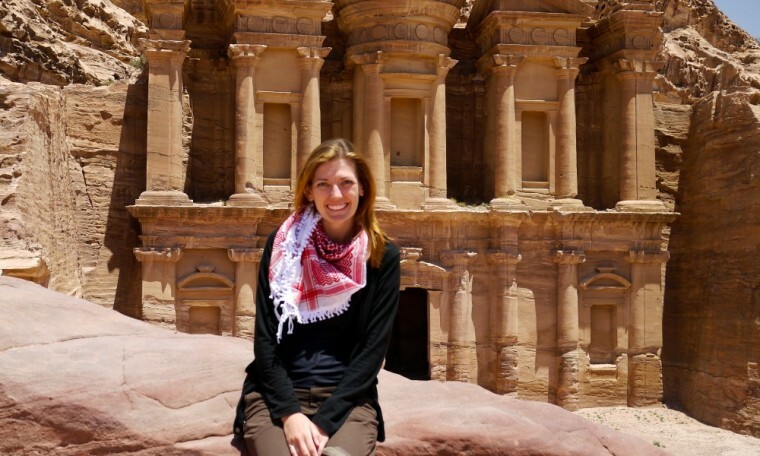 Amber spent 10 years as an attorney before she left her job (at one of the biggest law firms in the world, no less) and decided to explore the world. A perpetual nomad, she's been to over 60 countries with her husband in tow, and shares her adventures with her lucky readers over on her blog. Myanmar- it's just opening up. There's not a lot of info on it, so I wrote a book myself, Exploring Myanmar: Traveling the Dusty Roads of the New Burma. Brazil for the World Cup. I just stayed a night at the Place Downtown Dubai and was very impressed with the room, service, view, spa, breakfast, everything! Xe is the app I used the most, every year. Places that offer tech free holidays to give people a chance to chill. Ayngelina left behind an amazing job, her boyfriend, her apartment and her friends to explore the world. It's a dream many have but fear doing, and Ayngelina acts as an inspiration for thousands of people who want to explore the magic of a life of travel. Back down to South America, it had been a few years and this time I was able to visit the Galapagos which was incredible. I am actually hoping to spend more time in North America. Some of my biggest travel moments in the past were snorkeling with beluga whales in Canada and driving through Yellowstone Park in Montana and so this year I'd love to see more of Canada and also explore the Southern States in the US. Klaus K in Helsinki, the attention to design and service make it so much more than a hotel. It's really an experience. Well in the culinary travel arena I adore Pasture Braised. Some day we will eat lots of food together! Mine? Well my favourite this year is Los Pescadores it wasn't nearly the most popular but I shot a video of fishermen and it was the first time I felt that I really expressed what travel was like for me. It's never about destinations or activities but the people I meet. Norbert put his career as an architect and life in New York City on hold to travel the world for a year. That year turned into an unspecified amount of time and now Norbert explores the world and keeps tabs on his adventures on GloboTreks. His goal is to visit every UN listed country before 2020. Impressive stuff. The Mongol Rally! Drove from London, England to Ulaanbataar, Mongolia in 46 days. Had some of the greatest adventures crossing the Gobi Desert and getting lost there, crashing our in Russia, and getting held at gunpoint in Kyrgyzstan, and a lot more along the way. For me it is New Zealand. I can't wait to see first hand its wonderful nature and breathtaking landscapes, as well as doing some of its famous adrenaline outdoors activities. I would nominate Mongolia. It doesn't necessarily targets ecotourism, but when you get out of the city and roam through the Gobi Desert, it doesn't get more "eco" than that. It's pure nature, completely untouched, and resources are quite limited, so everything is often done with the minimum or simply, everything is taken or made from nature and what's around. In 2013, the best hotel I stayed was Terres d'Amanar in Marrakech, Morocco. It's a high class hotel in the base of the Atlas Mountains, built representing some of the adobe local architecture of Morocco, and it also has some Bedouin tents to go "glamping". Trail Wallet, for sure! I use it every day to keep track of my spending. Helps me stay on budget. I'd say Stephen of A Backpacker's Tale is doing a pretty cool job since he started his blog earlier this year, and I think you'll see even more of him next year. Honestly I haven't followed travel websites lately, outside of travel blogs, so I'll have to skip this one. Leaving aside Brazil, which will be a hot mess this upcoming summer due to the world cup, I think 2014 will see a lot more travel to not mainstream destinations. Destinations are picking up on the power of blogging and social media to attract visitors, so many of those obscure destinations are coming out of their shadows and stepping into the tourism spotlight. Myanmar is one of those. 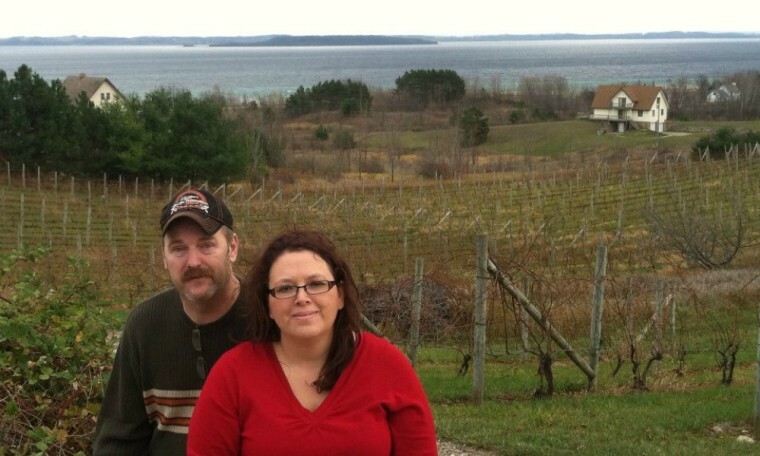 Rick and Sandi are all about encouraging people to live their dreams and try whatever it is that they want to do. From cooking a certain meal to sky diving, the guys at Midlife Road trip want to make the most out of life and take you along with them. A Mediterranean cruise aboard the Carnival Sunshine. I visited ports in Spain, France, Italy and Croatia. A trip to Ireland is high on our 2014 Bucket List. Best hotel I visited in 2014 was the Karisma Azul Sensatori Resort near Cancun, Mexico. I could totally retire there. My favorite travel in 2013 has been the Expedia Travel App. It has been a one stop shopping place for booking travel and offers the ability to save tons of money by bundling hotels, flights and rental cars. I think cruising will make a big comeback from the PR hit the industry took from some recent mishaps. Cruising is fun, safe and a great value. I see more and more travelers will taking advantage of the bargain prices that are currently being offered. 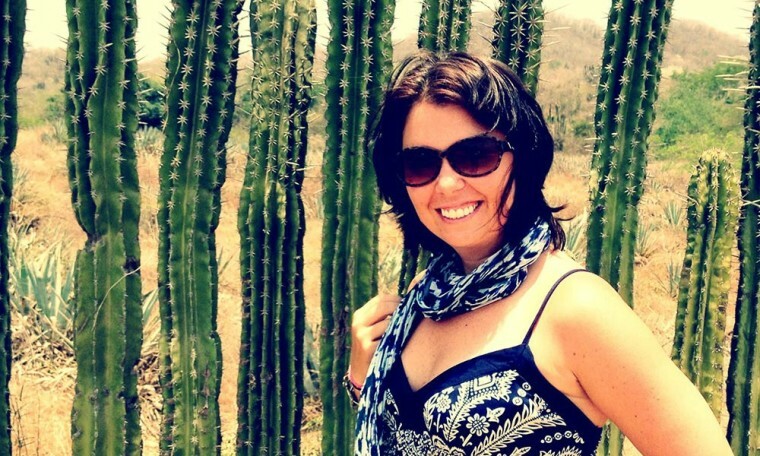 Sarah Duncan is a freelance travel and lifestyle writer with almost 10 years’ experience in the media industry. She's traveled the world, lived in several different countries and recently founded The Collective Press Co. to give other travel writers, photographers and bloggers the opportunity to have their works published and shared. For me, there’s nothing better than heading to a lazy beach in the Caribbean. I was lucky enough to visit the Caribbean island of San Andres this year, which is part of a small cluster of islands off the coast of Nicaragua, but actually Colombian soil. I was there for about a week and managed to do some snorkelling with a ray, some island hopping, I travelled on a speed boat with reggaeton music blaring, got sprayed by a water geyser, swam with the locals on a quiet beach without one other tourist in sight, kayaked through the surf and drank my body weight in pina coladas. I had a pretty fantastic time, really. Oh gosh, there are so many. I’d love to go trekking in Nepal and Tibet and visit Bhutan, noted as being the happiest country in Asia. I’ve also been inspired by one of our contributors at The Collective Press Co. (www.collectivepressco.com) to visit Mongolia. And I’ve had a lot of friends tell me how kooky Seoul is. There are cafes where you can rent a pet cat by the hour - so that might be on the list too, because god knows I'd struggle looking after a pet for longer than an hour. It's the perfect system really. I’ve just come back to Australia after living in South America for over a year, so I’ve been keen to explore my own digs. One destination that has sparked my curiosity regarding ecotourism is Lord Howe Island, just off the coast of New South Wales in the Tasman Sea. It was listed as a UNESCO World Heritage property in the same year as the Galapagos Islands, and has been recognised for the global significance the island has in terms of its beauty and biodiversity. Not only does the island have the 875 metre Mount Gower climb, rated as one of the best day treks in the world, but it also sports dramatic scenery, unique wildlife, lagoons, coral reefs and dormant volcanic peaks. So, of course they’re keen to preserve the environment with ecotourism and have specific recommendations in place to ensure the area is protected. One of the best hotels I’ve ever stayed in was at the Hakuba Tokyu Hotel in Hakuba, Japan. I was there to write a travel article about skiing and had to do some meeting and greeting before retiring to my room one evening. It wasn’t as simple as that though, before bed all the women went up to the onsen, or hot spring bath. It’s quite the experience having a business chat without any clothes on. Luckily, the view from the hot bath was absolutely mesmerising, so I wasn’t too worried about anyone taking a look at my bits. Having lived in Spanish-speaking Colombia for more than a year, the travel app I relied on the most in 2013 was definitely Google Translate. How do you say “Excuse me, can someone help me? I seemed to have locked myself in the restaurant toilet” in Spanish? Easy, just Google it. Unfortunately, that actually happened but I didn’t have my phone on me at the time, so I had to resort to yelling out this far less eloquent translation: “Door! Help!” The other patrons in the restaurant were so confused. I’ve also just come across a great app called Dcovery (dcovery.com) which allows eager travellers to research and save useful travel information – perfect for when you’re in the planning stages of your next big trip. Oh, there are so many great bloggers out there. Really. But two bloggers I keep going back to again and again, and who I have a lot of respect and admiration for, are Victoria Kellaway of Banana Skin Flip Flops and Toya Viudes of Colombia de Una. They both document their time in Colombia, in very different but equally moving ways. With Victoria, whenever I see a post arrive in my inbox, I can’t help but read it from beginning to end. The blog is almost like a novel that you never want to end. With Toya, she documents Colombia in such a respectful and beautiful way, that she really manages to capture the magic of the country. Her photos are incredible. I might be biased but I am also a huge fan of See Colombia Travel as well, they just won the best travel blog in South America and I’m lucky enough to have worked with the team while I was living in Bogota, Colombia. Everplaces.com is a great website to check out if you’re looking to plan a getaway or adventure of some sort. It gives you a chance to see what other people think about a variety of destinations and see if it’s a good fit for what you want from your own travels. It’s also a great way to increase to your travel cred, because people can see where you’ve been and what you’ve done. And who doesn’t like to show off a little now and then? I resonated a lot with this post on Banana Skin Flip flops. I was living in the same city, the same part of town, dealing with some of the same life questions. Rather than just being a blog, Victoria documents her life, she just happens to be living in another city while she’s doing it. I love how she documents what it’s like to give everything up do something for reasons that you can’t really explain. Space travel! You know, if you can afford it. But seriously, I think travel as a life plan rather than travel just for the sake of travel is going to be a trend. It seems like everyone I talk to is looking for a sea change, country change, life change and they’re not afraid of making travel part of their goals. Travel isn’t something we just do once or twice a year now, it’s something that we revolve our lives around and incorporate into our life plans. 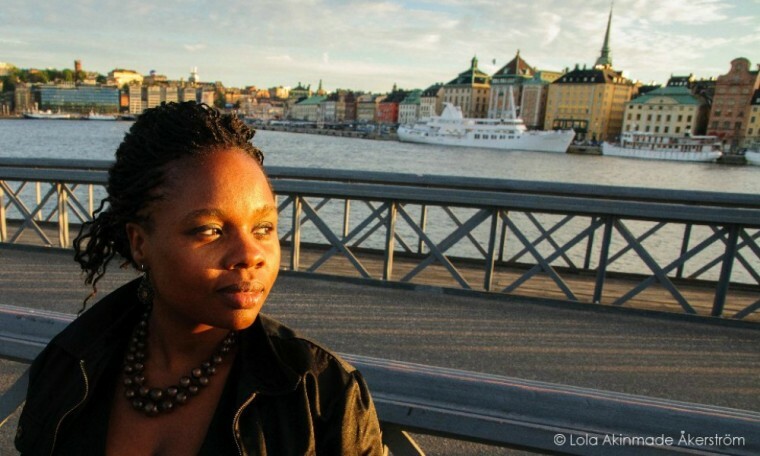 Lola Akinmade-Åkerström is an award-winning writer and photographer, and has photographed and dispatched from six continents for various publications. Her stirring portraits have appeared in the National Geographic and more. While my summer trip around the Balkans was a close second, I'd have to say my best trip of 2013 was chasing Northern Lights in Swedish Lapland. We've had some of the best activity in years and I was able to get some cool shots - check those here. The Caucasus countries. I've been fascinated with the region for years. Had a tentative trip planned to Azerbaijan this year but it fell through and I hope to make it out to the region in 2014. Islands of the South Pacific. Ever since my weeks in Fiji, I've always wanted to spend months in the region island hopping and exploring it slowly. Lush landscapes, crystal clear waters, rich cultures and lifestyles. So much we need to preserve. What do you do when the kids leave the nest? Well if you're David and Veronica you pack up and travel the world. The GypsyNesters weren't about to fall into the trap of lamenting the extra space in their home. After raising three kids they've taken to the road and never looked back. Three weeks in our motor home on Newfoundland. Absolutely fantastic island, people, scenery, everything! I've been enjoying my partnership with Four Seasons and I think they have fabulous properties around the world. But one of my favorite hotels ever is Les Jardins de la Medina in Marrakech, Morocco. I won't say it's the best travel app but the one I used the most in 2013 was Skyscanner. If only to salivate at possible travel itineraries and routes at the cheapest prices. Roads and Kingdoms - http://roadsandkingdoms.com/ - Go check it out and you'll see why. High quality travel reportage and photography. It also won the SATW's Lowell Thomas award for best travel journalism site. My best personal blog post for 2013 would have to be this one about achieving one of many dreams - http://lolaakinmade.com/2013/07/12/on-celebrating-career-milestones-and-inching-closer-to-dreams/. Travel to Eastern Europe especially the Balkans (Albania, Macedonia, Serbia, Bulgaria, Bosnia, etc) as well as the Caucasus regions will continue to increase. A continued quest for polar travel will keep people pursuing soft adventures in the Arctic region as well as Antarctica. 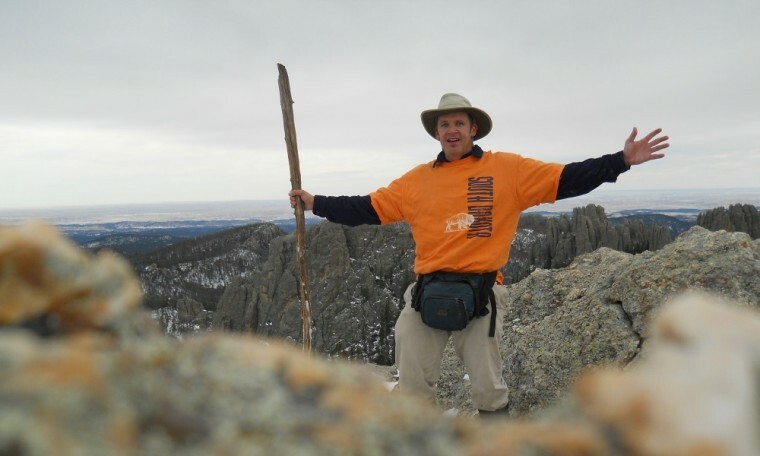 Ted Nelson is an outdoor adventure traveler who writes and blogs on Traveling Ted. On his website he chronicles his hikes and adventures around the US and the world, looking to inspire others who wish to follow in his footsteps. More adventure in people's travel plans. 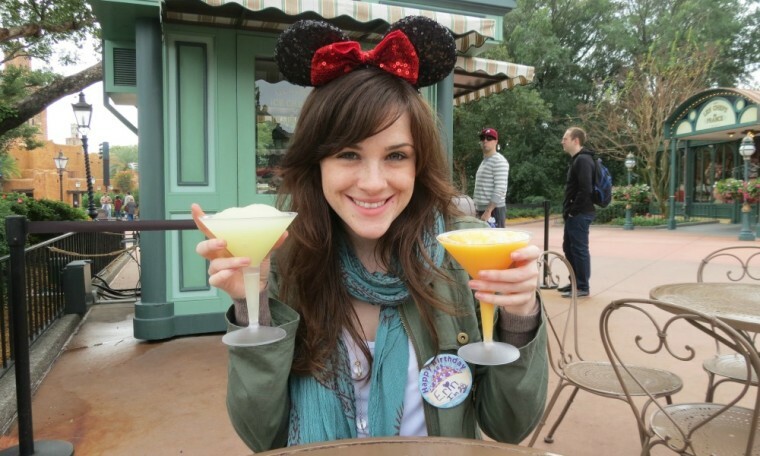 Erin is a 29-year-old with a passion for traveling and seeing the world. She loves to learn about new cultures, try new food and drinks, and to get out of her comfort zone. She's traveled all over the world and blogs about her adventures over at The World Wanderer. A week-long trip to Santiago, Chile, where I spent most of the time exploring the neighborhoods. I am participating in the Mongol Rally and visiting fifteen countries. I would say I am most excited about finally getting to Mongolia, but the whole trip will be an adventure. More eco-tourism and focus on the communities of the destinations that people are visiting. Normal, everyday American family? Well, kind of, but Family on Bikes are much more. They're adventure seekers and modern-day explorers who consider themselves to be only limited by their imaginations. They seek to live life to the fullest, and take their readers along for the ride. Connecticut. Or maybe New York City? Gary sold his house in 2007 and hasn't looked back. He travels the world and says in those years spent on the road he's done and seen more than he did in his entire life before. He's been to all 7 continents, over 130 countries, over 125 US National Parks and over 250 UNESCO World Heritage Sites. Phwoar. Dog sledding in the Yukon. Bitter End Yacht Club, BVI. International Data roaming will get cheaper and easier. 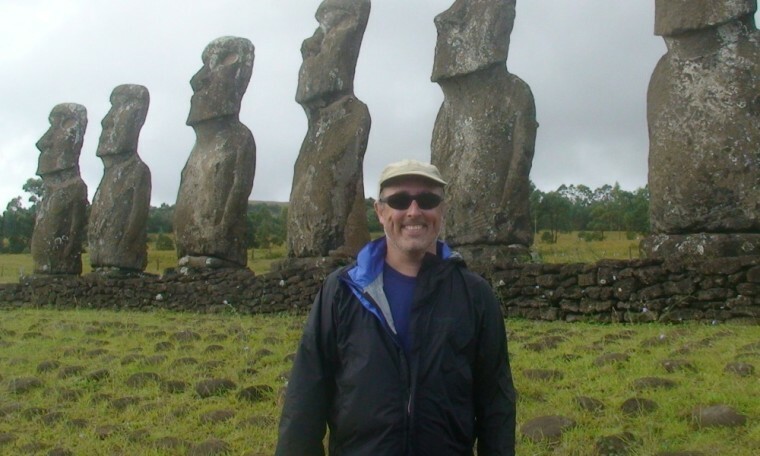 Dr. Paul Johnson has worked in the travel industry for over 25 years and has traveled extensively all over the world. 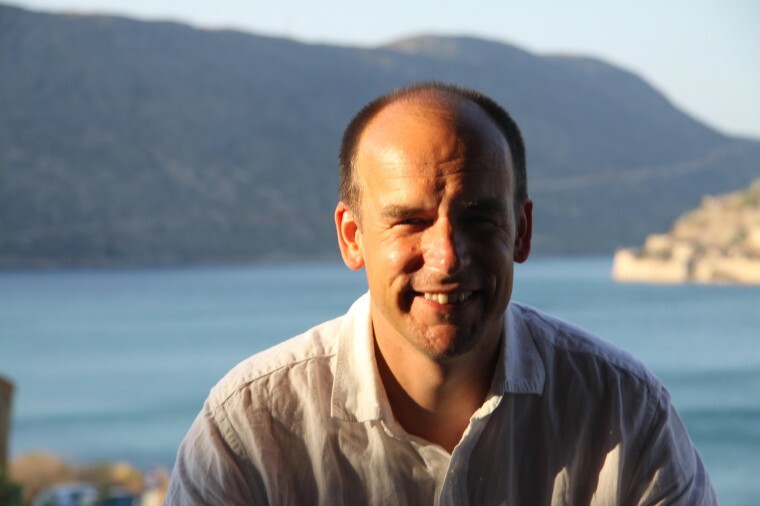 His blog, A Luxury Travel Blog, is written by Paul himself and a team of more than 300 writers and guest bloggers. It focuses on the finer aspects of travel, such as luxury resorts and hotels. I was honoured to be invited to a Land Rover expedition this year - a developmental test drive of the new Range Rover Hybrid which is going on sale in 2014. We drove right across Nepal, from Kathmandu to New Delhi, which was quite an adventure. I have yet to finalise my plans for 2014 but the destination that everyone's talking about seems to be Brazil. With them hosting the FIFA World Cup this year, it will be one of the places to be for sure. I've had the pleasure of staying in many lovely hotels this year that it would be unfair to select just one - among them have been Congham Hall (England), Domes of Elounda (Crete), Dwarika's Hotel (Kathmandu), IDW Esperanza Resort (Lithuania), Sheen Falls Lodge (Ireland), The Cellars-Hohenort (South Africa) and the Taj Palace Hotel (India). I have two favourites from this year. One is Postagram - great for turning your own photographs into real, printed and customised postcards. Secondly, I like the simplicity of Sun Scout which shows you where the sun rises and sets where you are, when it will disappear behind buildings, etc. - great for planning when to return to favourite photographic locations. Am I allowed to vote for my own? :) I went full time with A Luxury Travel Blog at the end of 2012 and haven't looked back since. Traffic has risen by more than 300% in the last 12 months and we now enjoy in excess of 150,000 unique visitors a month, over 300,000 Twitter followers and around 100,000 Facebook likes. There are exciting times ahead for 2014! There definitely seem to be 'green shoots' returning to the global economy and I'm sure the luxury travel industry - and the travel industry as a whole - should benefit from this. Travel, and particularly luxury travel, is one of those things that people can easily cut back on in more difficult financial times, but in times of greater prosperity the converse is true and the industry can really flourish. 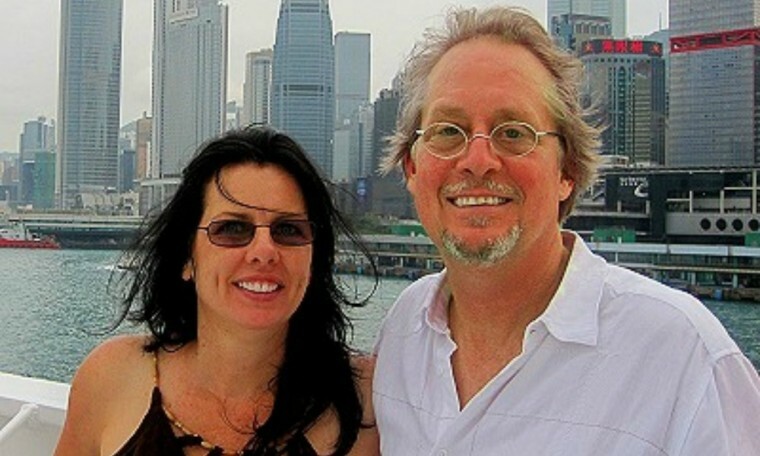 Dan and his wife Linda moved from the US to Panama and have been traveling the world since 2009. They've been documenting their travels since then, and their blog As We Saw It is visited by thousands of curious travelers every month. 21 Days in Israel! We spent 10 days on a tour with a Methodist pastor Keith Johnson touring Israel's not so know sites from the Bible and then rented a car and did another 11 days traveling to other sites and visiting friends in Tiberias. The markets in the streets of Jerusalem were awesome as was the Carmel Market in Tel Aviv. We went on a quest to find danger in Israel going to the Golan Heights and down near Gaza, but found nothing but safety. 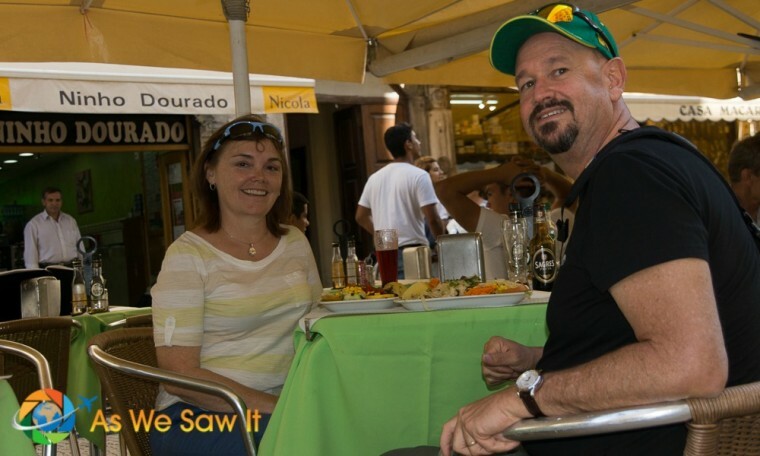 We loved Israel, an ancient land steeped in Biblical history loaded with modern amenities and delicious foods as a melting pot of cultures located in the cross hairs of regions. Machu Picchu - This destination is slated for a change as it undergoes maintenance for the next 10 years starting in June of 2014. Thus visiting the site beforehand will allow for the iconic photo shots that we all see when browsing the web for travel ideas of this UNESCO site. The excitement builds as you add time in Cusco and the Inca Sacred Valley to the site of the ancient Incan city. Cotococha Lodge in Tena, Ecuador. Located along the Napo River in the Amazon rainforest, the Cotococha Lodge was spectacular. Cabins are tucked nicely into the rainforest and allowing nature to pay a visit to you while enjoying the beauty of nature without the impact. Trips to an animal recovery center, lunch on an island in the river, a visit to an Indigenous Tribe of Amazon Indians and a nature hike in the forest to learn how the forest supplies everything you need to live are among the offerings. Don't bring your ipad, computer or phone as there is no internet, only nature and quiet. The Dunbrody House Hotel in Wexford, Ireland. 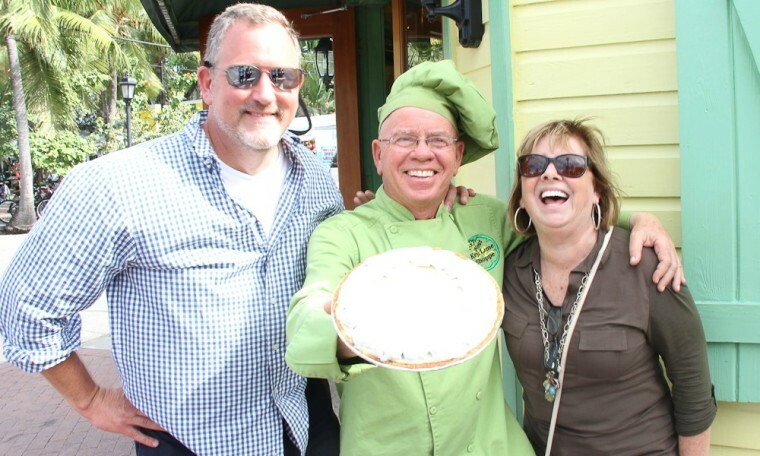 Stay at the home of the 'Bobby Flay of Ireland', Kevin Brogan and wife Kathy and enjoy a feast of surprises from local ingredients grown either on the property or near by. More mid-luxury travel seems to be the trend. Not full blown luxury and definitely not budget travel. People are retiring from the baby-boomers, but with the economy they are more conscientious of where they spend their money. 3 to 4 star hotels offer more thins free, such as internet, that the 5 stars do. They want some of the finer things, but at great deals. Covering 5 continents is perhaps less challenging than going on an eight day bender in Ireland, but either way the Lazy Travelers have done both. 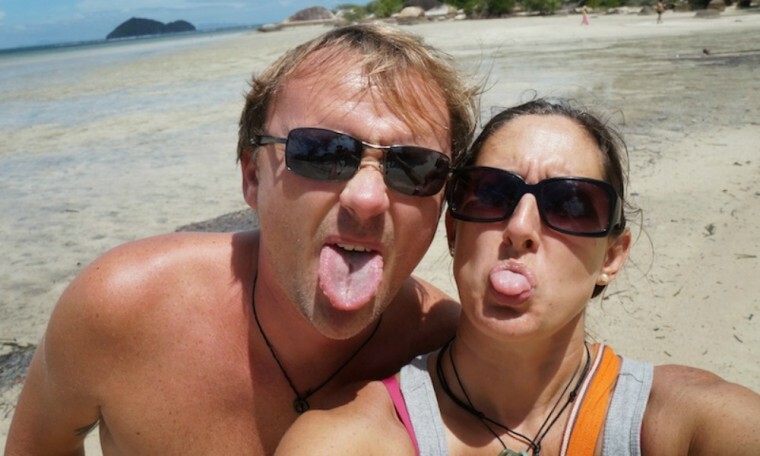 They chronicle their crazy capers on their irreverent Lazy Travelers blog. Keep up if you can. We met up in late June for a grand tour of Central Europe--Budapest, Vienna, Salzburg, Hallstatt, and Prague. It was our first time in this region and absolutely beautiful! Can't wait to return. It's a secret, we're announcing in early 2014! Google Maps. Paris was inexplicably removed from HopStop, so I (Ashley) rely on Google Maps' public transit directions around here. Not sure if this qualifies since they've been live for about a year now, but we keep waiting for http://www.travelfreak.com/ to take off. Triptease (just over a year old, I think?). South America! The World Cup is going to kick off some major Brazil love and attention on the region. Shannon O'Donnell is a speaker, author and blogger than has been traveling the world since 2008. She captures her journey on A Little Adrift, and shares the whys and hows she learns along the way for those looking for a change in their lives. I visited Panama with my dad during the summer and it was wonderful. My dad grew up in the Canal Zone, and he was able to show me all the places he remembered growing up, and we explored some sustainable tourism cooperatives in the country. An overall win! I am heading overland through Africa. And the entire idea of it has me excited. Ryan and Liz form the collective duo known as Pause the Moment. 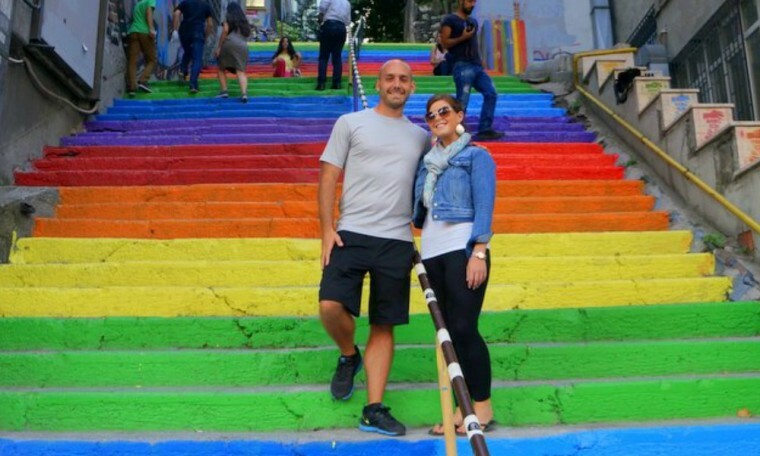 They're a young couple who enjoy traveling the world and sharing their stories from the road. They believe in living life to the fullest, and their looking to encourage other people to do exactly the same. I would have to say Costa Rica. 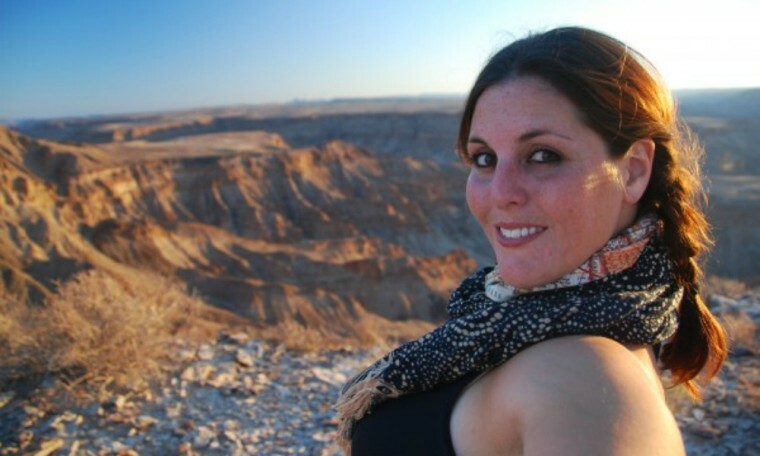 One of my favorite up and coming travel blogs is Just One Way Ticket (http://www.justonewayticket.com/) by Sabrina Iovino. Just Short of Crazy is a food, travel and lifestyle blog that provides readers with quality content on everything from motherhood to travel. She's been married for over 20 years and has 2 children, so when she's not on the road she's enjoying her life in Michigan cooking, reading and taking photos. So many great destinations in 2013, but if you twist my arm and force me to pick one I'd have to say Grand Bahama Island. Again, another tough question. I'll be roadtripping from MI to CA in January and then living in souther California for 6-8 weeks before returning back to MI. I'm pretty excited about that trip. I also hope to road trip to the Pacific NW this summer. It has been on my bucket list for years. Hotel del Coronado--beautiful location, great rooms, good food. Candice Walsh is a 20-something woman from Eastern Canada. She was, once upon a time, a technical writer for an international deep sea technology company. She then left all that behind to explore the world and now lives in Montreal. TripleSpot was a lot of fun to use. Helps users categorize lists of their favourite places as they travel. Uruguay now that certain things are legalized and everyone is talking about how great it is to live there. Melissa's project is called the Mellyboo Project, and it's all about encouraging people to take the leap and live out their dreams. 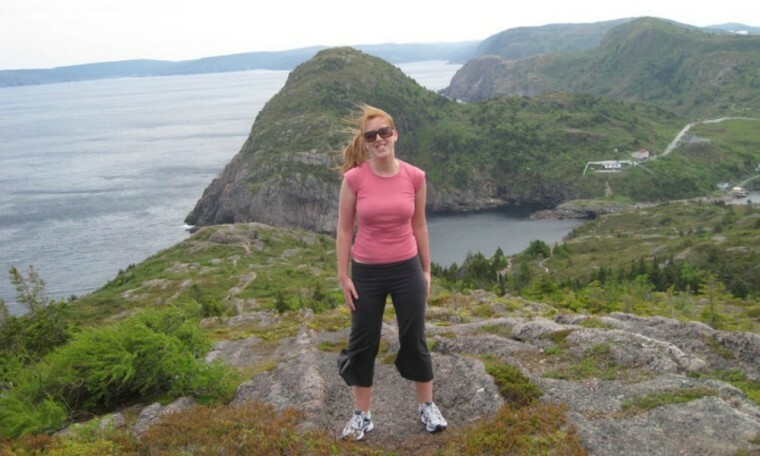 Melissa herself is a 26-year-old Canadian traveler who seeks adventures and loves to tell stories about them. My favourite trip in 2013 was my 3-month trip to Africa. 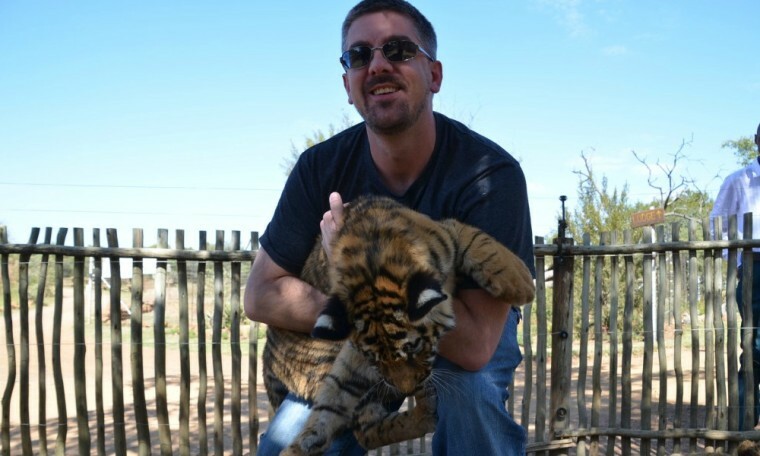 I did 2 Nomad Adventure Tours (Masai Mara &#x0026; Gorillas Tour followed by their Nairobi to Vic Falls Tour), spent 3 weeks volunteering at a hands-on lion conservation project at Antelope Park in Zimbabwe, and then spent an additional 2 weeks in South Africa. Africa! More and more people are heading to Africa and falling in love with the continent - some of my favourite destinations include: Namibia, Zimbabwe and Zanizbar. Solely from my own personal experience - Antelope Park. I loved having the opportunity to work alongside the king of the jungle. 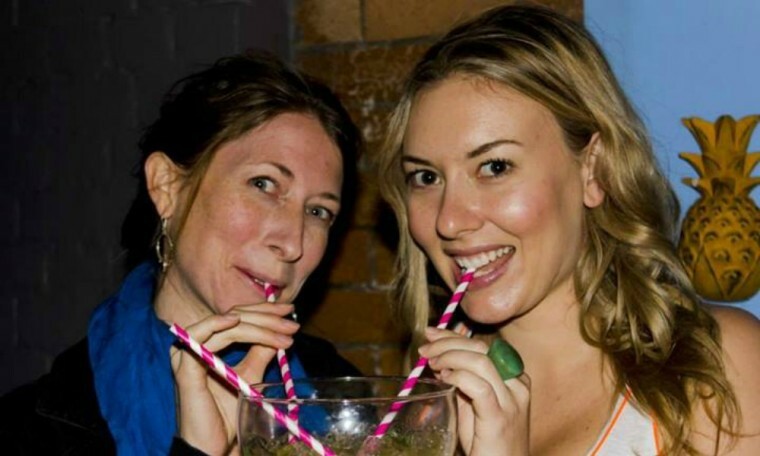 Budget: Planet Traveller in Toronto, Canada - eco-friendly hostel in trendy Kensington Market. Splurge: Any hotels in the Le Germain Group/ ALT Hotels around Canada. Best beds ever! TripleSpot - kind of blends Instagram and Roadtrippers. Instead of Instagram being all about the user, TripleSpot is all about sharing cool places (or spots) around the world. Wherever Writer. Amy has guest posted on my website and been longtime follower of my blog. She's going to be doing some great things in the New Year - can't wait to follow her adventure. Not really up-and-coming, but I love the concept of AirBNB.com - will be using it during my upcoming travels. Would it be incredibly shameless of me to say my own post &#x0022;Walking with Lions in Africa&#x0022; (http://themellybooproject.com/2013/08/walking-with-lions-in-africa/). I love this post because it brought me back to my first time I had the opportunity to walk with lions, plus it highlights the incredible work that I truly believe in that ALERT (lionalert.org) is doing in the name of lion conservation. Eco-tourism will continue to thrive. More travellers are becoming more and more aware of environmental issues around the world and will try to help offset their carbon footprints and participate in travel that promotes sustainability and is eco-friendly. Sancha has traveled the world and lived in various countries. 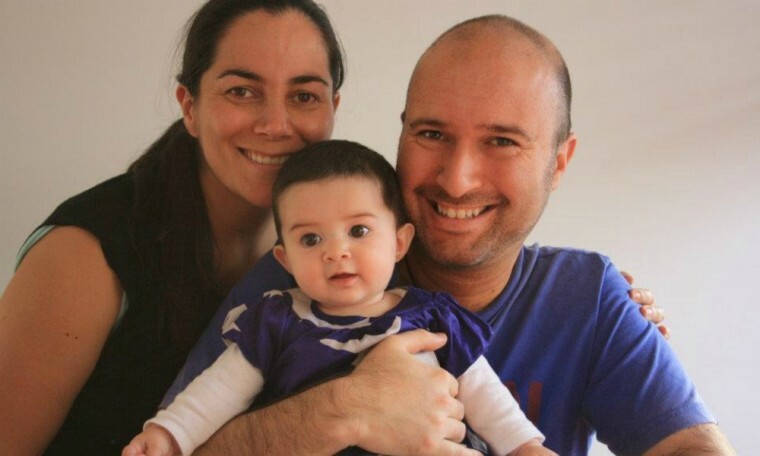 Now she calls Lisbon home and her website covers life in the city (in Portuguese). The Clymb What were you picks for 2013, and what do you foresee in the upcoming year? Let us know in the comments!